Off to Amsterdam for a weekend? Congratulations, you have chosen the best city in the world as your destination! 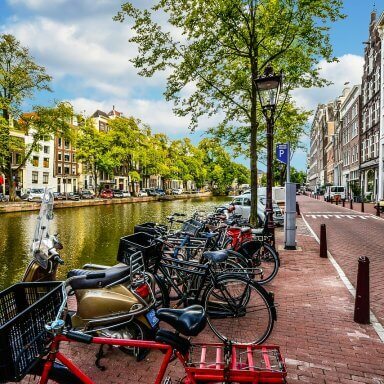 There is so much to do in Amsterdam that it can be difficult to organise the short time you spend in the city. There is always something going on and you will have no problem finding things to do that fit in with your weekend plans. Whether you are organising a weekend trip with your family, friends or loved one, you will have great memories for years to come. I have decided to list some top tips to help you to plan the perfect weekend away on this page. If you’re only staying for a weekend, opt for a hotel in or close to the city centre. This way you will be close to all the major sights and attractions and won’t waste much time travelling. I advise you to rent a bicyclethe moment you arrive in the city. This means you can get going straight away and can quickly cycle from one attraction to the next without having to wait for public transport or put on your hiking boots. 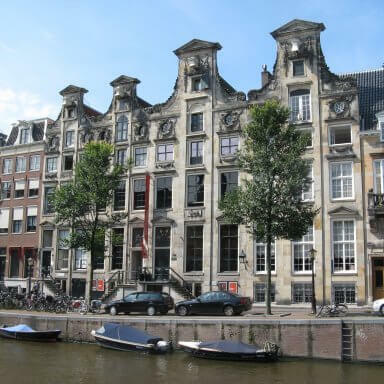 For hotels, take a look at my Amsterdam hotels page; it’s full of great ideas! Is your budget limited? No problem, Amsterdam also has a few good hostels. On the hostels page, you will find my top recommendations. 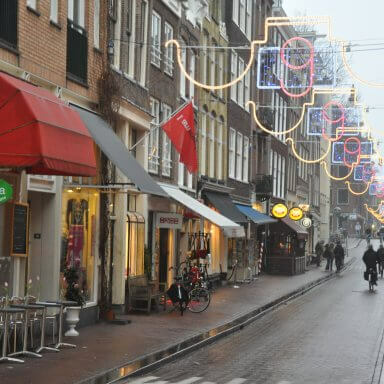 Have you booked a hotel or hostel in Amsterdam without breakfast? No problem. Amsterdam is packed to bursting with great breakfast bars. Start your morning at the Nine Streets. In this friendly neighbourhood you can have coffee at Screaming Beans or visit one of the other numerous breakfast shops. You will then have the opportunity to walk past the unique shops and boutiques that inhabit this wonderful neighbourhood. Have lunch at Blue in the Kalvertoren. From here you are given a beautiful view over the city; in the distance you can even see the Zuidas skyline. I recommend you pay a visit to the Heineken Experience, especially if you are visiting Amsterdam with a group of friends. Get to know the world’s most popular beer, watch how it is made and find out where it comes from. 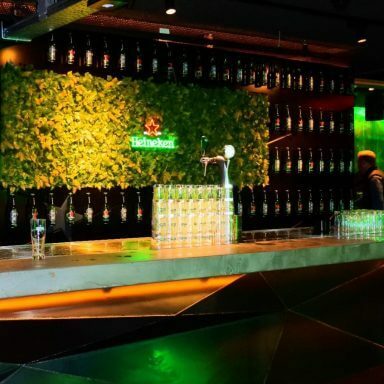 Of course, there is ample opportunity to taste a delicious Heineken beer at the Heineken experience! After the Heineken Experience you can wander off and search for a nice restaurant. In the vicinity of the Heineken Experience you will find countless restaurants with tasty menus. I actually advise you to look in this neighbourhood and not closer to the main squares, as these are full of restaurants that cater almost exclusively for tourists and offer neither quality nor atmosphere, although there are always exceptions to the rule. A great place to eat, and something really special, is the Instock restaurant on Czaar Peterstraat. Dishes made from reject supermarket products are served; these products have not been rejected because they are no longer fresh, but because they simply don’t look the part. Enjoy delicious dishes that don’t waste food. If you are with a larger group, you should definitely visit the Foodhallen. In this converted factory hall you can enjoy delicious food at great prices. You will find everything on the world menu here, but Viet View is my favourite. They serve, among other things, delicious Asian sandwiches. However, other world-fare is also well represented in the Foodhallen, so there will always be something for even the pickiest eater! The atmosphere is very relaxed and the location is central – in the beautiful Old West district. Amsterdam has a lot to offer after hours, too! 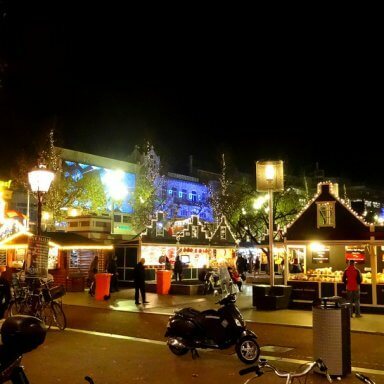 Explore the Rembrandtplein. Here you will find Icebar Xtracold, an original concept that you only find in a few major cities. The cocktails are super and having a drink in a bar made of ice is a real experience. If you want to enjoy the Amsterdam nightlife, famous clubs like the Escape, Air and Abe are close by. In Escape you will find top world-renowned DJs, so keep an eye on the club agenda when you go. These clubs mainly play dance tracks. If you want to see more of Amsterdam than restaurants, bars and clubs, a museum visit should not be missed. The Rijksmuseum, Stedelijk Museum or Van Gogh Museum are always worth a visit and house very impressive collections. The Anne Frank house is also an experience you will never forget, as is the Jewish Historical Museum. Here you will discover a piece of Amsterdam’s (recent) history and find out more about the impact the Second World War had on the city. If you fancy some fresh air and the weather allows it, spend some time at Artis Zoo, one of the oldest zoos in Europe. Or you might just want to chill out and relax in one of Amsterdam’s many beautiful parks. 655 visitors rated A Weekend Away in Amsterdam average 4.81 stars out of 5.